Your partner in the Himalaya forAdventure, entertainment, relaxation and more! Fly High. Fly HappyFly Babu Adventure. Welcome to Babu Adventure Headquarters! Welcome to Adventure Paradise! Welcome to Nepal, a traveler’s paradise! Nepal is a premier destination for adventurous activities and is especially celebrated as a trekking, paragliding, climbing and outdoor and leisure destination. In no other region of the planet does elevation change as extremely as in Nepal. The landscape rises from the low elevation plains in the south to the world’s highest peaks on earth over 8,000 m! Along with dramatic changes in geography is a wide range of eco-diversity, flora and fauna and culture. Nepal´s mesmerizing natural and cultural heritage and treasures can make travels here a lifetime highpoint - an experience more and more rare in the modern world. 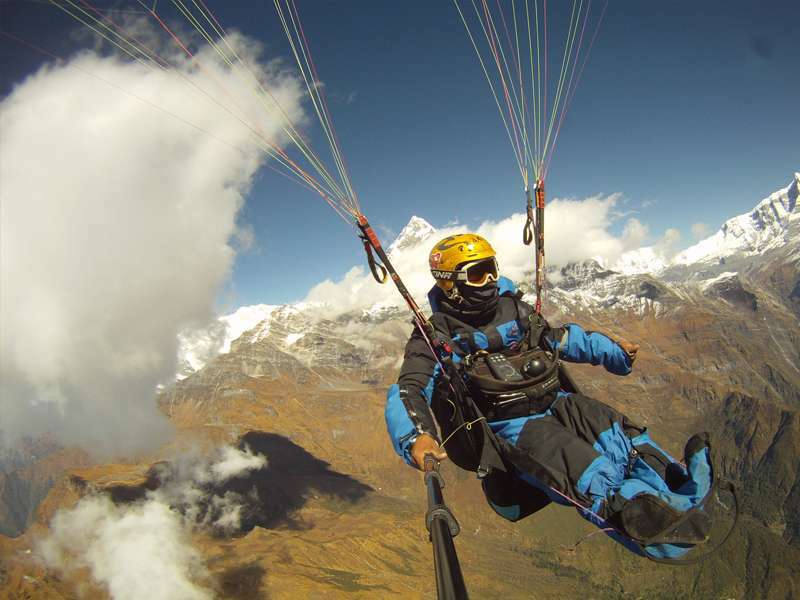 Nepal is a premier destination for adventurous activities and is especially celebrated as a trekking, paragliding, climbing and outdoor and leisure destination. In no other region of the planet does elevation change as extremely as in Nepal. the planet does elevation change as extremely as in Nepal. Multi-Adventure Resort Vacation with Paragliding, Village Exploration, Mountain Biking, Caving, Hiking (2 Nights/3 Days) Join us for three days of rest and relaxation with a healthy dose of adventure at Babu Adventure Resort.